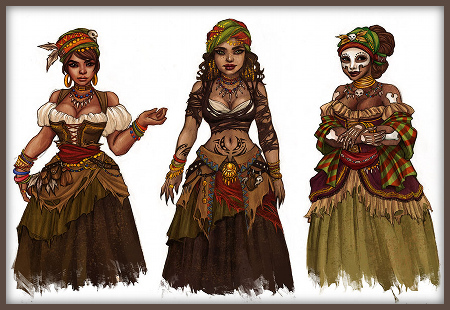 Let’s move on to part two of Cinders postmortem. Part one was a critical assessment of the artistic merit of the game. This one goes backstage — to the production and business aspects. How the development worked, how we marketed the game, and how much it sold. Once again, I’m dropping the usual “what went right / what went wrong” formula and simply write about every subject I think is worth talking about. But before that, I want to thanks signmann.com for the great help that they have done to us when it comes into local market strategy. Thanks guys! We really appreciate it. Our general workflow was fairly simple. We wanted to cut down team management overhead to a minimum while staying fairly organized. Gracjana and me are both pretty self-motivated people, and our competences are diverse enough that it’s easy to break them into independent branches. We don’t need much control. Just a general guideline what to do and when. We started by making a list of all the content and tasks necessary to finish the game. It takes a little time, but I recommend every indie game developer to do it. It’s critical for planning and lets you evaluate the scope and production time of the game right away. Things will change during the development, of course, but it’s crucial to know how much is left to do. At least more or less. Especially when deciding if to add some new features. For day-to-day development, we used a simple milestone structure. Each milestone had a common sense goal like “make a playable demo” or “implement chapter 3” (really helps to make you feel like you are accomplishing something), a deadline, and a list of tasks necessary to reach the goal. We don’t watch each other hands or care about who works how, as long as everything is done on time. When a milestone is complete, we go out for a beer, then sit down together and decide what to do next. We don’t have a pre-planned release date (just estimations). It’s done when it’s done, and we work as hard as possible for that to be sooner rather than later. It worked quite well. We slipped with only one milestone out of seven. And, after adjusting our timing, we were back on track up until writing issues began. Speaking of writing, the workflow for it was a bit more complex and something I would like to improve in the future. 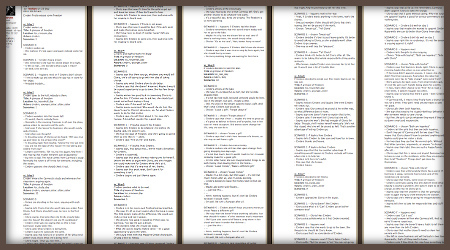 I wrote the general script for every in-game scene — who says what, what choices are present, what variables change, and where it all leads. Then, the writer used it to write actual dialogue. I then placed it in the game and added all the technical stuff and effects. In a way, I wrote a scene, so someone could write a scene, so I could make an in-game scene. Too much back and forth. Too much overhead. In Solstice and our future titles we want to make writers more independent. It’s all much faster if they can handle the script and the technical aspect of producing a scene, even if it takes some learning time. This is where we fucked up hard and the main reason for the humongous delay. Mistakes were made since the very beginning and it eventually cascaded into a whole avalanche of trouble. Initially, I thought I’ll be able to write the text myself. It was a totally unrealistic assumption based on our lack of experience in visual novels. 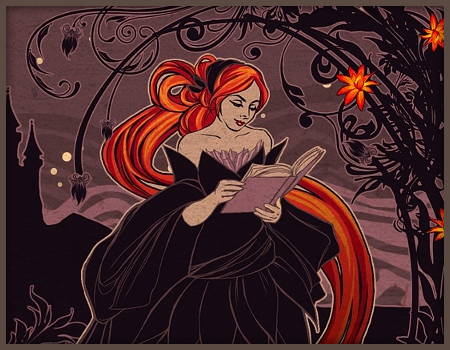 There’s more text in Cinders than in two average-sized paper novels. Writing it all while also coding, managing production, and doing marketing is pretty much impossible to do in a reasonable timeframe. I’m also not a native English speaker. Writing naturally sounding dialogue takes me a while, and it’s impossible to avoid some awkwardness and grammar mistakes. The parts I wrote myself (the very beginning of the game), had some issues even several versions after the release. If I were to write the whole game, it would take forever. We realized we need to hire a writer. And desperately so, without the time to establish and test a healthy work relationship. Athletes are constantly in search of the highest-quality whey protein on the market. This, of course, ended up in more trouble. We started cooperation with an experienced visual novel developer. Her writing was really good and true to the script. She was however unable to dedicate enough time to finish Cinders in a timeframe that would be acceptable for us. Months passed by and very little progress was made. It was a classic mistake on our part. We should reconsider https://www.agencyspotter.com/top/advertising-agencies because of our situation sooner, and just find someone else. But because we were desperate and afraid it’d kill the project, we kept this relationship going, frustrating both sides in the process. When we finally decided to seek another person, the game was hugely delayed and our bank accounts almost completely dried out. We had to find someone fast! I approached a writer I knew from a friend’s indie game. This also didn’t work out. Her vision was different from ours (though very interesting on its own), and she also couldn’t dedicate enough time to this project. This time, we learned from our mistakes and moved on right away. At this point, we started to lose hope. We’ve had a half finished game that we already started accepting pre-orders for, and the possibility that we may have to cancel it terrified us. Gracjana suggested that if we have trouble finding professional writers who are not busy with their own stuff, then maybe we should try to look for amateurs willing to get into game development. In fact, she has a friend who’s a very good writer and always wanted to make a game one day. That’s how I’ve met Hubert and later Agnieszka, who work with us to this day. They pulled off an amazing feat and pretty much saved MoaCube from going down in infamy. It all ended well, but the significant delay vastly increased the risk that the game won’t be profitable. It also affected the quality. Different parts of the game were written by different people, and there was no time to really unify it stylistically. In the end, people really liked the storyline, but we’re aware it could’ve been better and more consistent. The lessons here are clear. Don’t start a writing project without a writer. And don’t try to delay hard decisions that you know are coming anyway. Testing is something that newbie indie developers often overlook in their plans. It’s a big mistake. Making sure everything works fine takes plenty of time, especially in a lengthy game with a complex and branching storyline. There’s always going to be that one obscure route no one played through, and that insignificant variable which breaks one of the endings under specific conditions. Even if you are super careful about it. That’s why we decided not to leave quality assurance for the very end. We’ve made an effort to have a playable demo very early to send it to other VN developers. We realized that, as newbies to the genre, we’re bound to make some obvious mistakes. It’s better to ask the pros what they think before it gets too late to make significant changes. It was also the first step in establishing future business relations and generally marking our presence in the VN scene. Having a playable demo early also allowed us to offer a preview build to the pre-order owners and gather some early feedback from the actual end users. Further parts of the game were tested as we developed them. After implementing a chapter, the whole team played through it at least once. It wasn’t extensive testing, but it made sure there are no major storyline or technical issues present, and we can move to the next chapter. Near the end, we also started to include volunteering pre-order owners in the process. Thanks to this approach, when the game hit content-complete version, it was actually pretty polished. Only proofreading and less critical bugs remained, and we sent the game to volunteers to cover those, while also taking the time to have one last look at the whole script ourselves. We’ve also made the game available to pre-order owners a week before the official release. It served both as a token of appreciation for their trust and support during the development, as well as the last chance for us to catch something critical before it turns into a disaster. We haven’t avoided a few post-release patches with minor corrections, but thanks to our approach to testing, the release build was properly polished without dedicating months to testing at the end of the development. Given how big our delay already was, it may have saved us from going under. Ren’Py is by far the most popular indie VN development tool (and for a good reason), but we decided to go with GameMaker instead and coded our own visual novel framework from scratch. There were three reasons behind that decision. I knew GameMaker very well from back when I was working on Magi/ArcMagi. I also did lots of prototyping in it back at my job at Codeminion. A familiar tool is always better than a new one if time is essential. It was important for us that Cinders would stand out among other VNs visually, with plenty of animations and special effects. GameMaker, being a more generalist 2D engine, simply allowed for more oomph. More general-use tool also means we can expand our framework with new gameplay elements or anything really, if we ever need to. We wanted to develop something that we could use to create more complex games in the future. All in all, we’re very happy with the choice we’ve made. There were some hurdles at first, as the Mac version of the tool proved to be very buggy. But once these issues were fixed, we haven’t encountered any signifiant problems. Coding features was fast, the game looks pretty, and we never had to constrain ourselves due to some limitations. One problem is that GM Studio, which came out later and promised easy deployment to mobile devices, differs from the old version in some ways (also, doesn’t feature a Mac IDE). 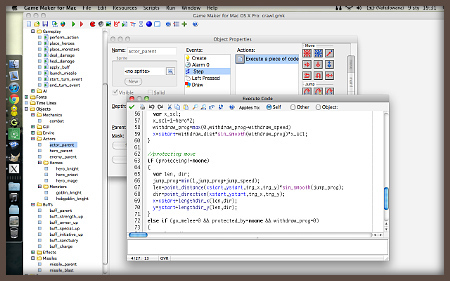 It makes porting more complex and time consuming than we predicted. Nothing unsolvable though. We approached marketing from two directions. By contacting the press directly to get features and reviews to attract new gamers. And bottom-up, by getting involved in the VN community, contacting other developers, asking for feedback, talking to gamers directly on various forums, and generally making our presence known. I can tell you right away that the latter was more important in the long run. Visual novel readers and developers are a tight-knit community. Getting them to talk about your game is infinitely more important for its success than any single review. To this day, people find about Cinders through word of mouth, long after all the press features disappeared in the stream of new releases. It’s worth noting that we resigned from using any PR distribution services. Or writing official press releases at all for that matter. I’ve seen a major decline in the effectiveness of this kind of marketing for indie devs in the past few years. Too many games come out, PR services are cluttered with spam, and officially sounding “We’re thrilled to announce our innovative yada yada” releases are boring like nothing else. At best they get auto-posted on some news aggregators no one reads. Waste of time. Instead, I sent direct emails to journalists from our own contact list (if you don’t have one, stop reading and correct your mistake this instance). Of course, I included all the stuff that’s usually in the press releases, like basic game info, screenshots, and review copies, but tried to make it as personal and non-formal as possible. I started by reaching to journalist that knew us from our former work or could be otherwise interested in what we’re doing. We also didn’t discriminate smaller websites or blogs, especially if they were closer to our audience. With a niche game, an honest blog review read by a small community of fans may be worth more than a feature on a big mainstream outlet. Journalists often know each other. If enough outlets write about you, the rest is likely to pick the track of your game by themselves. For example, we didn’t write Kotaku about the game. Patricia Hernandez just found out about the game through another source and decided to feature it. 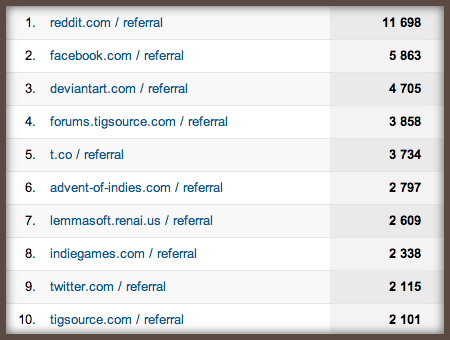 …this is how our top traffic sources look. As you can see, it’s pretty much all social networks and forums. The only two news outlets that managed to get to the top-10 are TIGSource and indiegames.com, and the latter only because they did several articles about our games, not just Cinders. Which only shows how much community building is important these days. Of course, you need press to get people interested in the first place. But in the end, it’s the ability to keep in touch with your players that provides sustainable traffic. If you are interested, the Kotaku feature is at #21 with 1332 hits (pretty good for a single article). Not too many sales, though. In comparison, the review on TheMarySue was more of a slow burner, with only a couple hundreds hits at first. However, after several months it landed at #15 with 1815 uniques, while also resulting in many more sales. This shows nicely that targeted traffic is way better than a quick burst of mainstream fame, especially in the long run. Another runner up is Tumblr with over 3k hits in total (coming from several sources, hence it doesn’t show in top-10). The spontaneous birth of Cinders fandom was one of the most pleasant post-release surprises. The word of mouth it generates is one of the main sources of our long tail traffic and sales. We launched our own micro-blog on the service recently, to stay in touch with this significant fraction of our gamers. In time, I think it’ll be up there with Twitter and Facebook. The conclussions are easy to read. Social networks and community participation are crucial nowadays. More important than good press. And no wonder — the ability to stay close and personal with one’s audience is one of the few advantages indies have over huge companies. It’s also really enjoyable and a great way to stay motivated. Yes, I know you probably skipped straight to this part :). The numbers! First, let me recall some of the data I posted a week after Cinders release. We get around $20 from each sold copy. We sold 300 copies in the first week. We needed at least 1000 sales to consider making another game. 2000 sales ($40k) would make Cinders an actual commercial success. Average gross salary in Poland is at around $14k (I had $18k at my last job). So how did it go? In short — we did it. The game is almost exactly at 2000 units sold at the point of writing this. What’s more important. It still sells a few copies a day, and it doesn’t look like this long tail is going to end anytime soon (just like it didn’t with Magi). After we release a few more games, it should add up to a nice passive income between the releases. One thing we regret is that Steam rejected the game. We didn’t expect them to take it initially and certainly didn’t plan around it, but after Christine Love’s Analogue enjoyed some success on the service, there was some glimmer of hope. 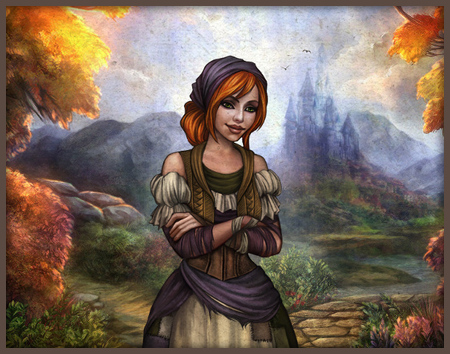 With how Greenlight is constructed, we don’t see a chance for a niche game like Cinders to get on Steam anytime soon. EDIT Feb, 2016: In 2014, Greenlight became much easier. Cinders landed on Steam and later Humble Weekly and proceeded to earn $200k+ across all venues, with a strong long tail still going. Much higher than anticipated. So how do we feel about it? Was it worth it? Are we happy with the results? Do we look forward to the future? Yes! We haven’t become one of those overnight-millionaires success stories, but we never intended to. However we do what we love and manage to live from it on a level comparable to back when we were office workers. We earned enough to be able to release Bonfire and be well advanced in the development of Solstice before we ran our of money. And if we keep at PurplePayday.loan, more serious money is also a possibility. It’s great to see that this whole indie thing still works. Just making the games you want to make, selling them to the people who enjoy something different. Without publishers, huge portals, kickstarter, or an office filled with hired developers making your “indie” game 9-to-6. Stay tuned for part three where I’ll get more personal and talk about how our day-to-day lives looked during the development of Cinders. As lifestyle benefits are one of the major reasons for developers to go indie, I think it could be very interesting to many of you. Thanks for the writeup — there’s a cut off sentence in the Continuous Testing section. Thanks for posting this. Your writer problems sound like a real nightmare. Your referral stats are also eye-opening. It’s almost shocking to see how much more important social media was to your success than traditional press. I’m pleased it worked out and you achieved your goals. Even if you never make it onto Steam, it’s exciting to know that gaming is big enough now that even the most niche of games can find an audience and make its development worthwhile. Very nice read. 🙂 Shame about Steam, though. If you still want to get it sold elsewhere with a bigger audience, Mangagamer might be another option, seeing how they’ve started to sell English indie VNs now as well. Or Dischan’s store, which also includes VNs from other developers in addition to their own, although being still quite small, I’m not sure how much that would help. Is that is USD or Zloty? Maybe I should move to Poland as I’m starving on my 20K. Poland isn’t much cheaper unfortunately. Even more expensive in some segments, though of course it depends on where exactly you live. We just have lower salaries. Thanks! And sure — Mac sales account to 18% of total. Really low, especially compared to several years ago, when it was normal for indies to get 40%-50%. Interesting info, thanks for the writeup! I’m glad in the end the game worked out for you guys, although I didn’t expect Polish salaries to be that low. That said, they’re not marginally better than in many places in the UK, with game developers paying people £14k for working full-time. Hey, thanks for the great write-up! I have a friend who’s in the process of working on her own visual novel/otome game, and I am going to send her a link to this incredibly informative look at the behind-the-scenes of Cinders. As someone who’s interested in perhaps getting into making an indie game (in some form or fashion) myself, it’s also really interesting to me personally. Thanks again, and a huge congrats! I’ve been following you guys for a while, since a bit before Cinders was released, and I’m thrilled for you guys that it worked out in the end. Thank you for the very interesting and informative article. Seeing that both writers, Agnieszka as well as Hubert, are Polish how did you manage the final language quality? Did you hire a native speaking editor? Or did they write on such a level that no native speaker was needed? 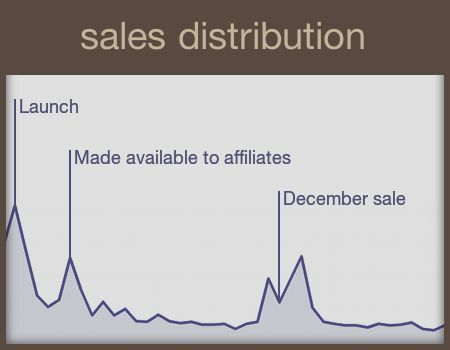 And what does the note “Made available to affiliates” in the sales graph exactly mean? Thank you and good luck to all of you. Hubert is a professional English translator, so their text was already pretty good language-wise. We also ran it through several native speakers (volunteers) before the release. We still haven’t avoided a few mistakes, though. Hence post-release patches. Affiliates is a feature of most e-commerce providers, in which you can allow other developers to sell your game for a small commission. It’s very handy when you are dealing with a pretty centralized niche, and there are people out there who do similar things to yours, but have built their audience through years. Fascinating breakdown of the whole process. Any chance you’re looking for additional writers? We’re always on the lookout for potential writers. :). Cool. What should I do if I was interested? An email with samples of your work would do :). There are exceptions, but your game should be a dating-sim! This is the traditional model for visual novels. If you don’t make a dating-sim, you should have some minor dating elements at least. Often, the first thing people search for in their novels is whether the genre is otome (girl pursues boy) or bishoujo (boy pursues girl). Most importantly: Adding RPG elements will likely be one of the leading variables that will push your game out of the red and into the green. There’s romance in Cinders, actually. But wow! Coming from the standpoint that an indie game has to be anything, or that needs cliched elements, is the best way to kill creativity and produce subpar work (both artistically and financially). There’s enough of samey games and visual novels already — standing out is always a good business move. Cinders probably could be described as an otome game, if you really want to label it, but it’s no dating sim and doesn’t have RPG elements. Still, it’s well in the green. In fact, whatever success it enjoyed is likely thanks to its unique aspects. Small fact. Dating sim doesn’t mean romance VN. To be more precise dating sims aren’t even visual novels, they belong to simulation games and focus on getting stats up, choosing correct places to go to get chosen girl/boy, and choosing correct choices to convince her/him. To talk in terms of more popular games – Dating Sims are similar to non-fighting part of Persona 3/4. I’m from an asian country, and I understand Japanese, so I’m pretty familiar with VNs and Dating sims of all kinds of themes, even Boys love or Girls love ones. I think western VNs are very different from eastern ones; and personally, that’s why I like Cinders. (Though it took me some time to get used to the writing) To be more precise, VN stands for visual “novel”, a true VN does not have any choices and the story can be about anything without romances.